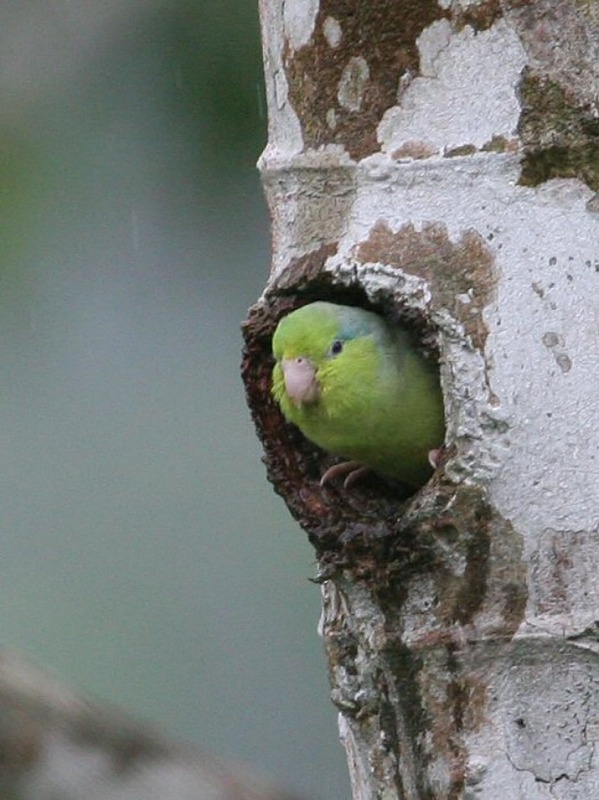 Pacific parrotlet is a kind of small parrot found in the South American countries of Ecuador and Peru. As a dimorphic species, male Pacific parrotlets have yellowish green faces, wings with blue patches and a characteristic cobalt rump. 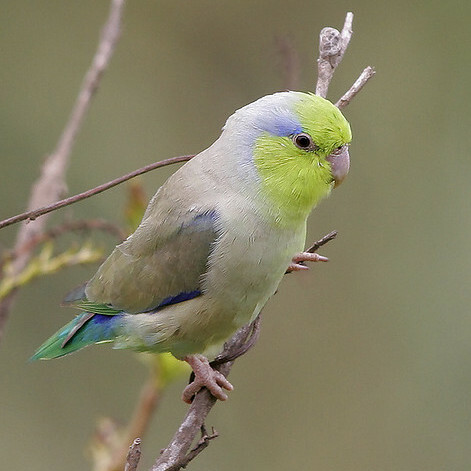 Unlike the males, female parrotlets have less conspicuous bright blue coloration behind the eyes without any blue patches on the wings or no cobalt rump. 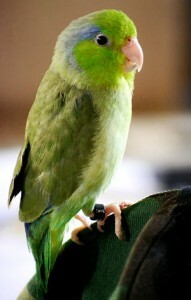 Among the seven types of parrotlets, the Pacific variety is most popular as pets. 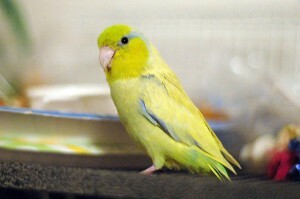 Several color variations of this species including lutino, fallow, European white and yellow, dark factor green, American white, American yellow, and blue have been produced in captivity. 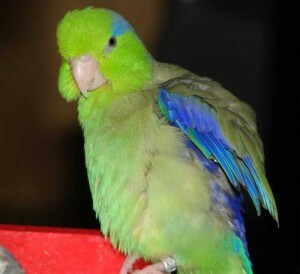 Having the ability to imitate different sounds, the brightly colored parrotlets are a popular choice for bird lovers. 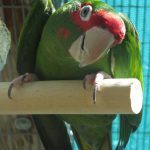 Without proper socialization training, your pet can revert to aggressive behavior. Apart from proper training, spraying with mister bottles may prove useful in curbing excessive “beaking”. The Pacific parrotlets should be ideally kept as a pair in aviaries or large walk-in cages. 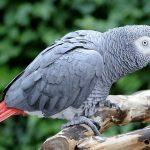 Their cages should be adequately spacious and airy having a minimum measurement of 7 feet. 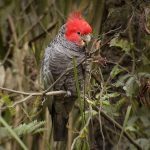 Since they love to rest on trees, provide some softwood branches and ropes for perching. 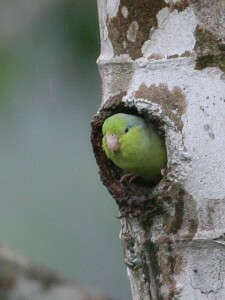 A nest box having a minimum dimension of 6″ x 6″ x 6″ can be kept in the parrotlet’s cage, providing the bird with a safe breeding place. 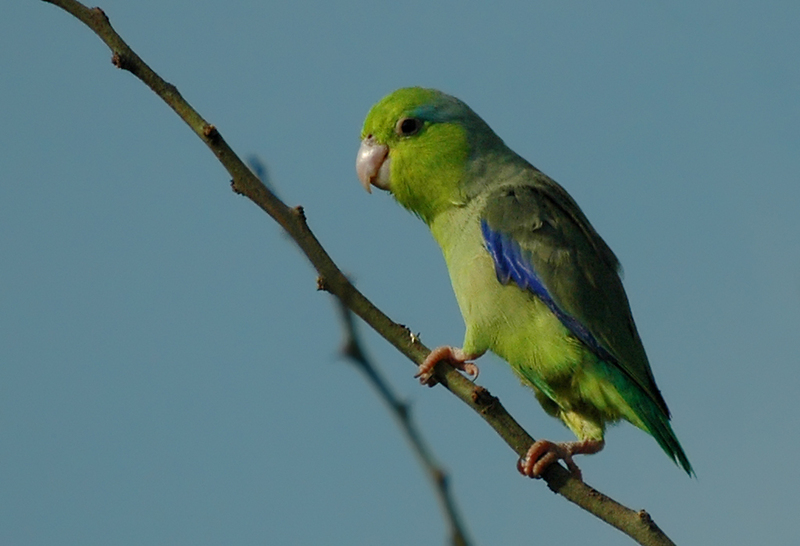 Although the Pacific parrotlets thrive in a temperature range of 65°F – 80°F, they are known to withstand a broader range of 40°F – 90°F. 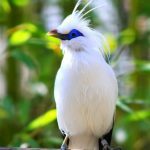 However, it is advised to protect these birds from harsh temperatures. 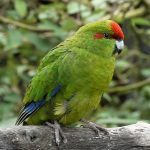 In general, these small birds are intelligent, inquisitive and affectionate, but sometimes become aggressive when provoked. 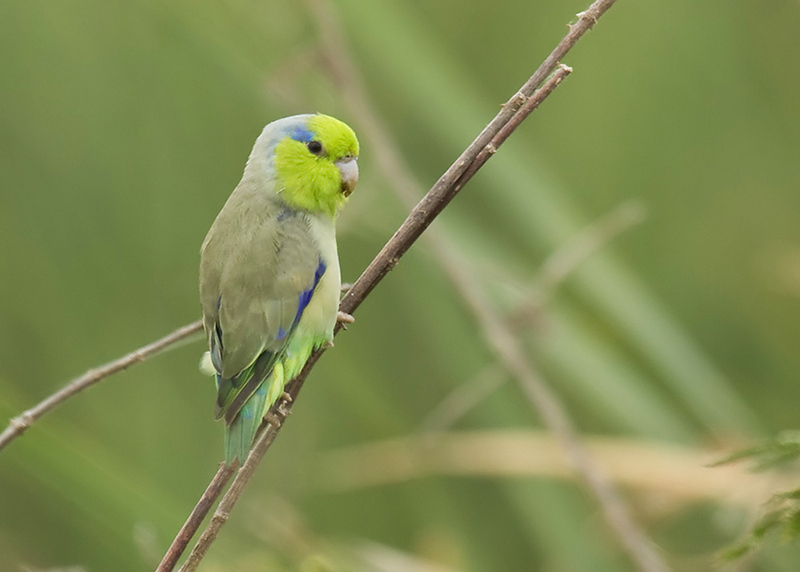 Among all the parrotlet species, these are the most courageous. 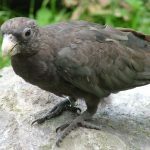 Although they can be kept with members of the same species, their territorial nature may cause problems if they are made to share their food and space with other bird species. 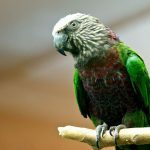 In captivity, these birds love to eat dry seed mixes containing hemp and safflower seeds. 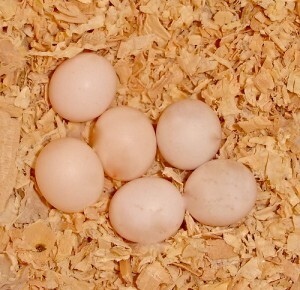 They also cherish spray millets as well as green leaves of dandelion, lettuce, Swiss chard, and chickweed. 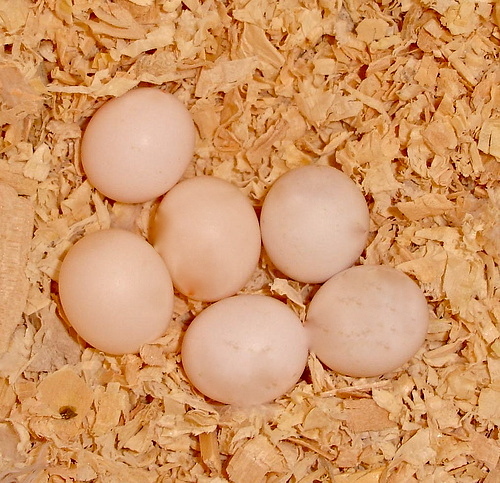 Provide a mix of properly ground carrots, wholegrain bread, hard-boiled egg, and low-fat cheese to help the adult birds in feeding their offspring. 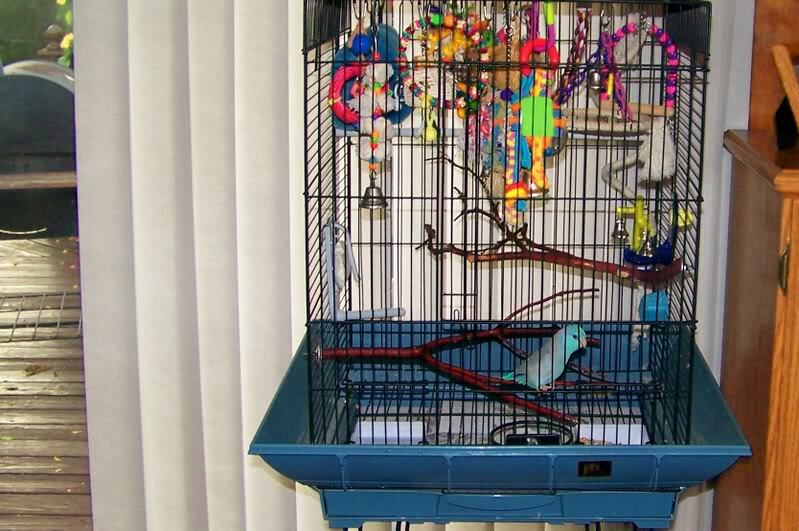 Since the Pacific parrotlets are prone to obesity, they should be provided with the necessary space to keep themselves active in their cages. 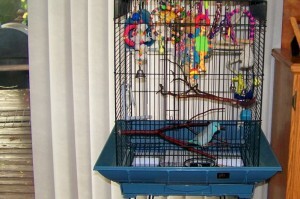 Place some toys like swings and kabobs inside their enclosure to keep them engaged. The parrotlets love to bathe and play in water. 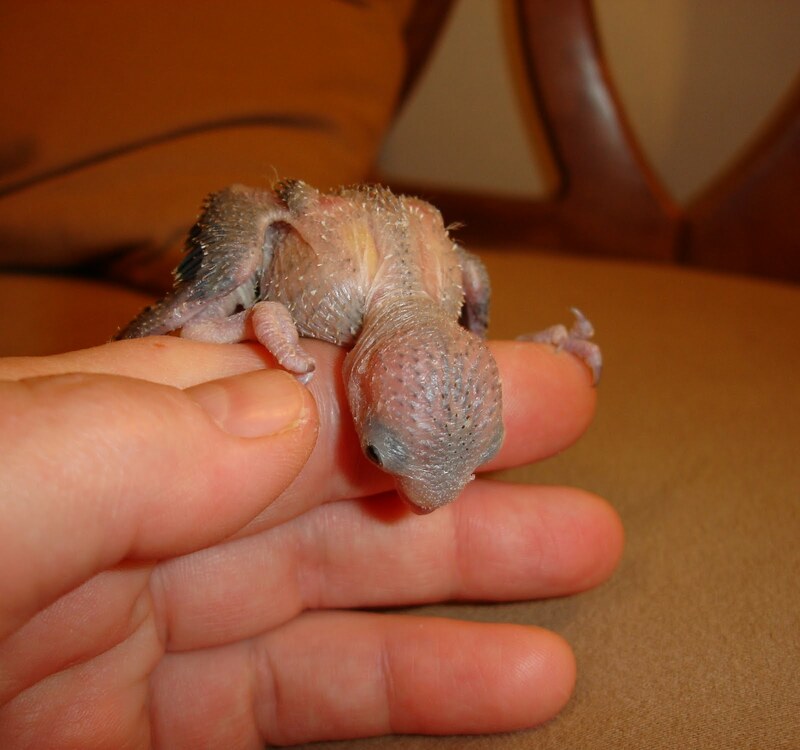 Place a shallow dish with fresh bathing water to keep your pet bird clean and lively throughout the day. Although Pacific parrotlets are relatively healthy, yearly exams by a vet will make sure your bird stays healthy. 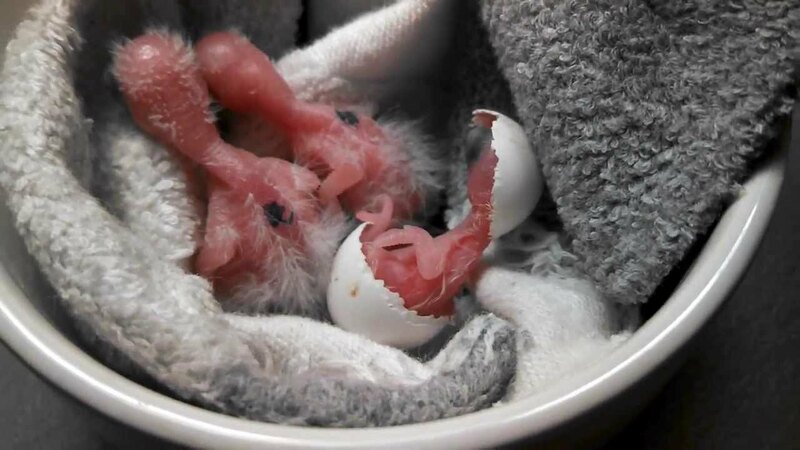 Check for symptoms like fluffed feathers, abnormal marks on the cere, beak swelling, coughing, wheezing, nasal and eye discharge, loss of appetite, and change in the color of stools. 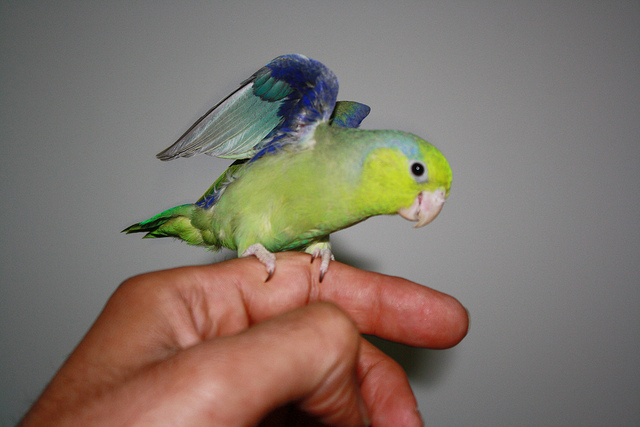 The price for a Pacific parrotlet is generally between $175-$650, depending on the age and mutation of the bird. 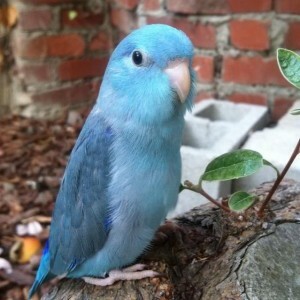 Pacific parrotlets are good at learning short phrases like “Pretty Bird”, “Step up”, “I love you”, etc. Some of these parrotlets can talk up to 15 words and have whistling abilities like a cockatiel.